Royal baby news! Duchess Meghan Markle and Prince Harry are expecting their first child. Kensington Palace announced the news on Twitter early Monday. 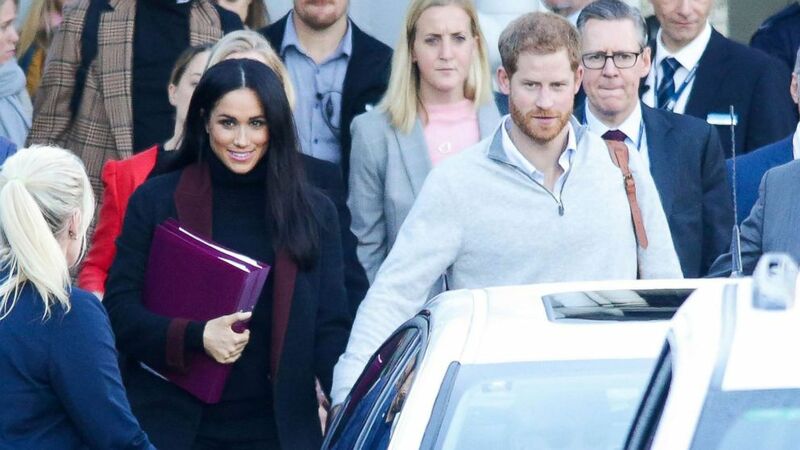 Markle is about 12 weeks pregnant, according to the palace, and is due in the spring. The couple, officially the Duke and Duchess of Sussex, is currently on a 16-day tour of Australia and New Zealand, with their arriving in Sydney, holding hands, over the weekend. The couple is also scheduled to make stops in Fiji and the Kingdom of Tonga. The palace said it is not making any changes to the schedule which includes over 70 planned events. 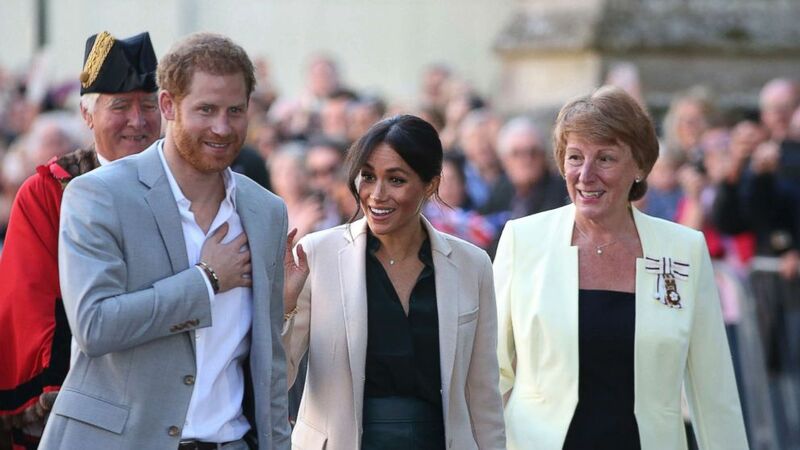 Markle's mother, Doria Ragland, is excited about the news and looking forward to welcoming her first grandchild, according to a conference call with palace officials. Ragland accompanied the couple to Australia. There was no comment on whether Markle's father, Thomas, who did not attend the couple's wedding on May 19, was told of the pregnancy. (MTRX/Backgrid) Meghan Markle and Prince Harry arrive at Sydney international airport ahead of the Invictus Games, Oct. 15, 2018. (Andrew Matthews/Press Association via AP) The Duke and Duchess of Sussex at Edes House, West Street, Chichester, as part of their first joint official visit to Sussex, Oct. 3, 2018. 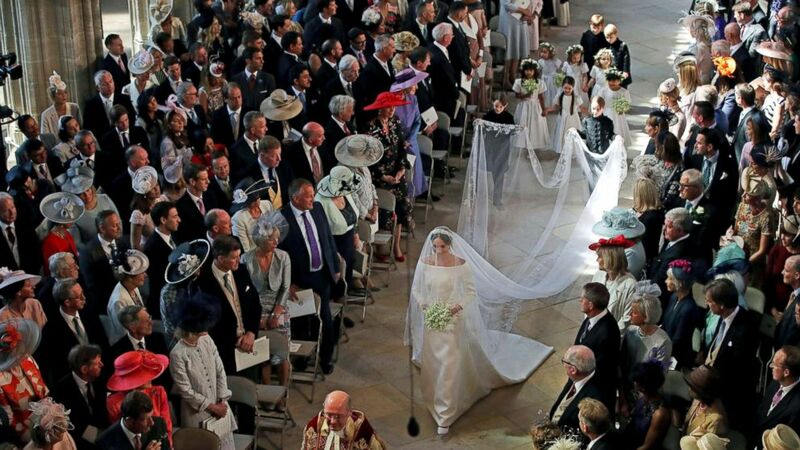 The couple shared the news with family and friends at the wedding of Harry’s cousin, Princess Eugenie, on Friday, where his family -- Queen Elizabeth and Prince Philip, father Prince Charles, Prince William and Princess Kate -- were all in attendance. 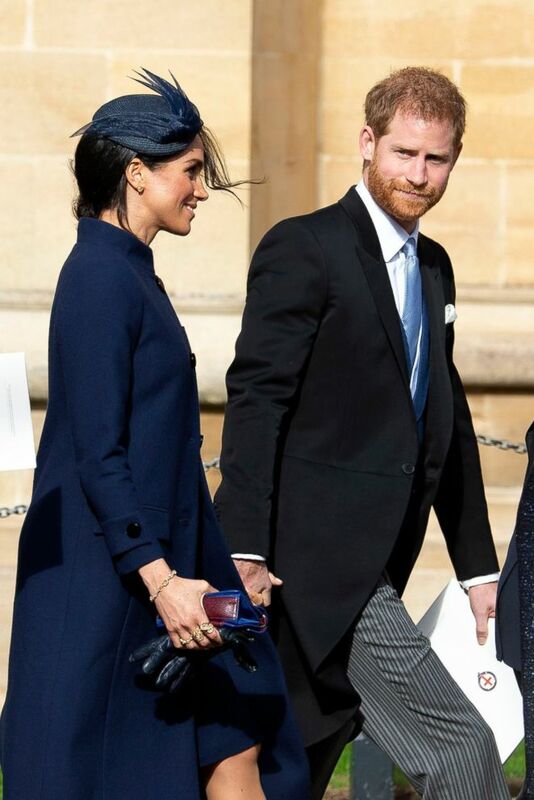 Meghan wore a navy blue dress by Givenchy with a matching navy blue A-line coat that concealed her figure, prompting some speculation online that she could be expecting. (Will Oliver/EPA via/Shutterstock) Britain's Prince Harry, Duke of Sussex, right, and Meghan, Duchess of Sussex, left, leave after the royal wedding ceremony of Princess Eugenie of York and Jack Brooksbank at St George's Chapel at Windsor Castle, in Windsor, Britain, Oct. 12, 2018. Their child will be seventh in line to the throne after Prince Charles, Prince William, Prince George, Princess Charlotte, Prince Louis and Prince Harry, but not officially a prince or princess. 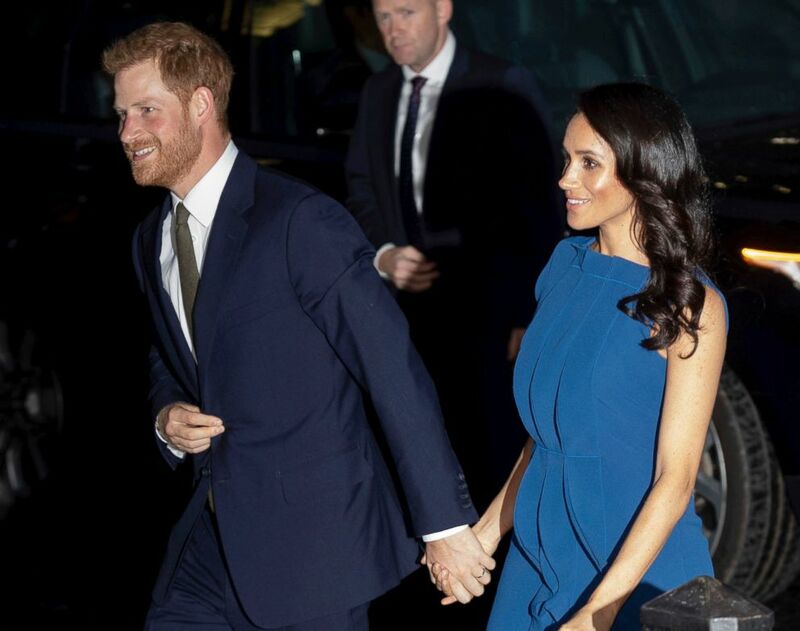 “This baby will actually not be a prince or a princess or an HRH – His or Her Royal Highness - unless the queen steps in and decides to offer those titles, at which point it will be up to Harry and Meghan to decide if that’s what they want for their children," ABC News contributor Victoria Murphy said. Five months ago, Meghan, 37, and Harry, 34, were married in St. George's Chapel at Windsor Castle. The pair met in 2016 after being set up by a mutual friend and were engaged a little over a year later on Nov. 27, 2017. (Danny Lawson/AP) Meghan Markle walks down the aisle as she arrives for the wedding ceremony to Prince Harry at St. George's Chapel in Windsor Castle in Windsor, May 19, 2018. In a November 2017 interview with the BBC after their engagement, the couple said they wanted to have children in due time. “Of course, one step at a time, and hopefully we will start a family in the near future,” Harry said. Harry has shined in his role as uncle to his brother William's three children with Kate Middleton, Duchess of Cambridge -- George, Charlotte and Louis. Harry, 34, and Meghan, 37, will spend the next 16 days on a nonstop tour of Australia, New Zealand, Fiji and Tonga that will take them everywhere from meeting koalas and joeys, to showcasing women’s organizations, to cheering on Invictus Games competitors. It's their second official foreign tour as husband and wife. The trip has drawn parallels to Prince Charles and Princess Diana's first trip to Australia and New Zealand more than 25 years ago with baby Prince William in tow. (KGC-178/STAR MAX/IPx via AP) Prince Harry The Duke of Sussex and Meghan Markle, The Duchess of Sussex, arrive at Central Hall Westminster for the 100 Days To Peace, Sept. 6, 2018 in London.